Our Michigan spinal cord injury lawyers handle cases involving clients who have suffered spinal cord injuries in auto accidents, truck accidents, motorcycle accidents and from all other types of trauma throughout the State of Michigan. Other cases include falls from scaffolds and even diving injuries into swimming pools and lakes. A spinal cord injury displaces bone fragments, disc material, or ligaments bruise or tear into spinal cord tissue. In addition, spinal cord injury survivors most likely suffer from chronic pain, bladder and bowel dysfunction, increased susceptibility to respiratory and heart problems and paralysis. 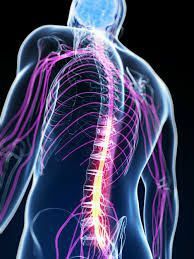 We have obtained significant settlements for spinal cord injury victims in Michigan. Please note that every case is different and these verdicts and settlements, while accurate, do not represent what we may obtain for you in your case. We have listed some of these settlements below. $1,375,000 - Detroit car accident settlement for a woman who suffered a spinal cord injury and was paralyzed in a rear-end auto collision. $315,000 Pedestrian Accident Settlement for a good Samaritan suffering spinal cord injuries after being hit by a car while assisting another person on the side of the road. These are only a few of the many great settlements we have successfully attained for our spinal cord injury clients. To view more of our Buckfire & Buckfire, P.C. case results, visit our Michigan settlements and jury verdicts page. Using the factors listed above, we can evaluate your spinal cord injury case and discuss with you a realistic settlement range. Of course, we may not know the answers to all of the different factors at the time of our discussion because much may be unknown at the time. That being said, we can tell you if you have a case worth pursuing and what the likelihood is of receiving a settlement for you case. Our attorneys will represent you in your Michigan spinal cord injury case under our NO FEE PROMISE. This means that you will not be charged any legal fees whatsoever unless we obtain a settlement or recovery for you. You have absolutely no obligation for legal fees unless we win your case. If we do not obtain a settlement for you, you owe us nothing! For more information regarding your rights after a Michigan spinal cord injury accident, call us now at (800) 606-1717 to speak with one of our Michigan spinal cord injury lawyers about your case, or simply submit this contact form and we will get back to you quickly.